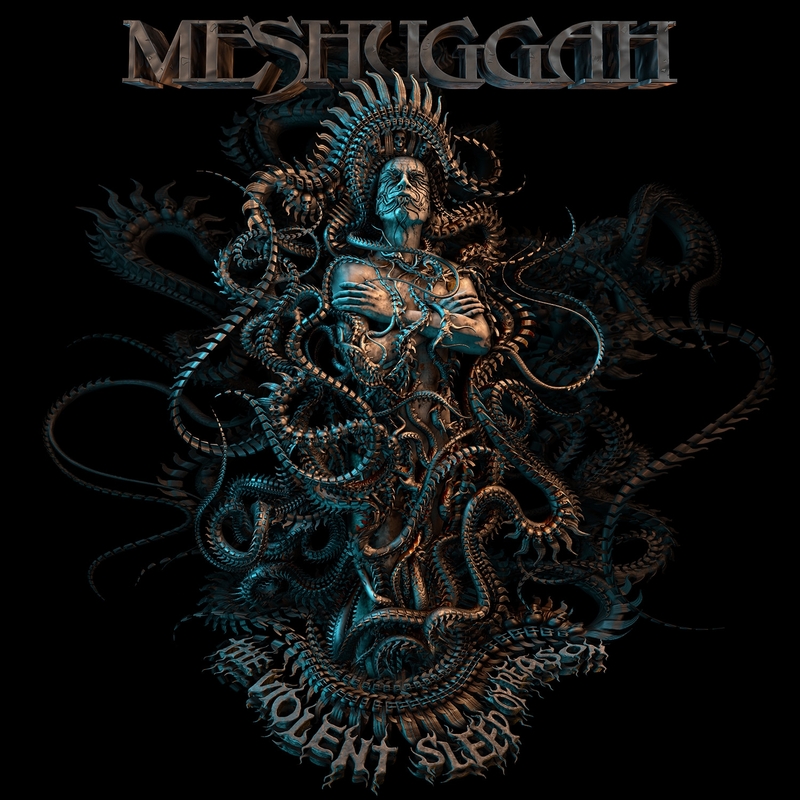 The Sludgelord: ALBUM REVIEW: Meshuggah - "The Violent Sleep of Reason"
ALBUM REVIEW: Meshuggah - "The Violent Sleep of Reason"
Trying to describe Meshuggah’s sound is a challenge. The only way I can put it is that they’re a musical cascade: a never-ending barrage of sound and heaviness pounding down upon you. Don’t expect or ballad or moments of levity here, this is a relentless tide which you will not escape from. Tracks like ‘MonstoCity’ and ‘Our Rage Won’t Die’ are pummelling tracks of new material which can easily be slotted in to their live setlist and not seem out of place. In fact, the same could be said for any of those songs on display here: like a chain forged by Vulcan, there’s not a weak link present. It all hits, and hits hard. In all honesty, there is one band that should spring into the mind of every metalhead when the word ‘djent’ is uttered. In fact, if you believe there is a hierarchy among prog and djent bands, then Sweden’s Meshuggah is king: hell, the term itself was coined from the sound made by these guys. Irrespective of whether you like or loathe the term, you can’t help but marvel at the uniqueness at which these people decided to create music. Innovative, gifted, heavy, these guys make heavy music like ordinary people make toast. Seriously, it’s almost annoying how easy they make it all look. 2012 saw the release of Meshuggah’s most commercially successful album to date (“Koloss” and, seriously, get yourself a copy if you haven’t already); October 7th, 2016 sees their return to your speakers with “The Violent Sleep of Reason”. Best warn those things in advance, because it is going to get heavy. Trying to describe Meshuggah’s sound is a challenge. The only way I can put it is that they’re a musical cascade: a never-ending barrage of sound and heaviness pounding down upon you. Don’t expect or ballad or moments of levity here, this is a relentless tide which you will not escape from. 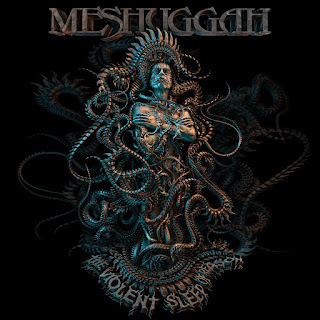 Fans of earlier releases like “obZen” and “Nothing” will find themselves comforted by the fact that Meshuggah’s core groove has not been changed, which gives a good foundation in the familiar, but is then built on with track after track of great and vibrant new music, building something you can truly marvel at. Considering 2017 will be the 30th anniversary of Meshuggah’s inception, their sound feels more contemporary than classic. Their rabid desire to explore and create means each album seems to advance upon the previous album, rather than rigidly stick to ‘safe’ boundaries and go no further. Tracks like ‘MonstoCity’ and ‘Our Rage Won’t Die’ are pummelling tracks of new material which can easily be slotted in to their live set list and not seem out of place. In fact, the same could be said for any of those songs on display here: like a chain forged by Vulcan (the Roman God of metalworking, not the Star Trek dudes), there’s not a weak link present. It all hits, and hits hard. Meshuggah released ‘Nostrum’ as a preview for listeners and, personally speaking, it was a great bit of bait to put onto the hook. Once you took a bite of that dissonant, eerie, polyrhythmic slab of raw sound, that was it. Reel you in, gut you, cook you, eat you. Meshuggah had me on a plate. “The Violent Sleep of Reason” is made by a band that is the same age as me, yet shows no sign of strain or weakness. Their sound has never been a more vital alternative to the mainstream than now, and this latest offering will no doubt be hailed as one of the pivotal albums of 2016. Wake up and get yourself a copy as soon as you can.